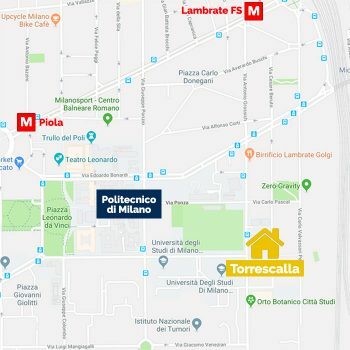 Torrescalla is in the middle of Città Studi district, really close to Politecnico di Milano and Università degli Studi. 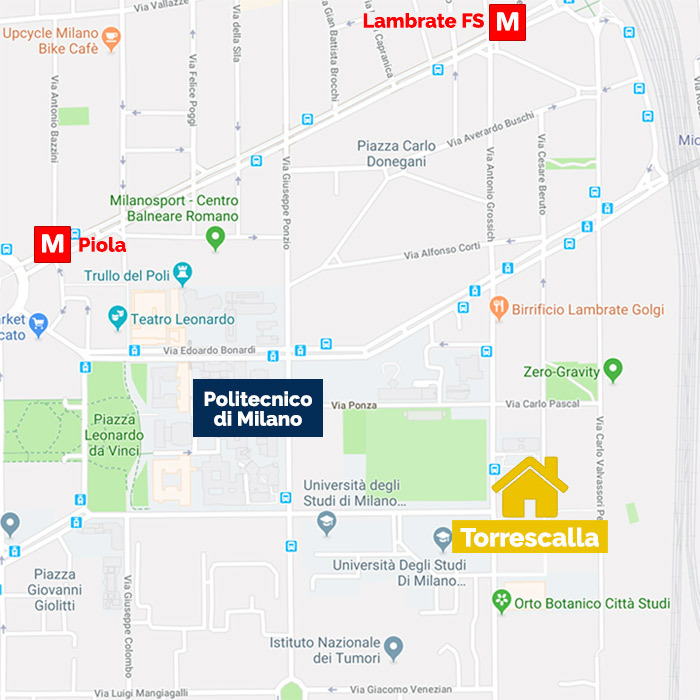 Our hall is a few steps away from the metro railways (stops: Lambrate or Piola) which makes your moving around Milan really easy. Rui Foundation also manages two residences for women in Milano: Viscontea and Torriana. If you need more information about Rui Foundation’s Halls of Residence, in Milano and in other Italian cities, please phone +39 02 48199488 or write to ammissioni@fondazionerui.it. You can also fill the following form, we’ll get in touch with you as soon as possible (all fields are required).